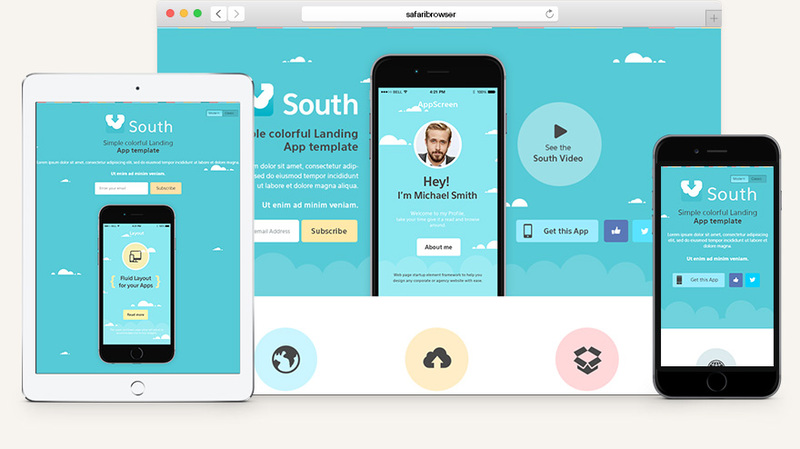 A striking HTML5 landing page template, ideal for a mobile app or to present a web service with a one page template. South is a modern one page template with all the elements you might need such as a fixed scroll menu, showcase sliders and more to create your next website. Based on Bootstrap 3x & PE fonts. We decided to base our HTML5 website templates on the popular front-end framework Bootstrap. We also included our custom icon fonts.